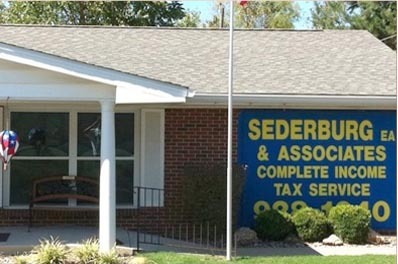 Thank you for choosing Sederburg & Associates to prepare your Tax Returns. The knowledge and experience of our Accounting Associates allows us to take great pride in the services we offer. Our staff prides itself in doing everything possible to put your mind at ease during this stressful time. We hope that we’ve accomplished this goal and can continue to fulfill your needs. Please call us when you are considering financial decisions that may impact your tax returns—such as: starting new businesses or withdrawing IRA Funds, etc. Remember any time you need further assistance; we are here year-round with Tax Accountants on staff to answer your questions, complete returns from years past, and/or amend them. 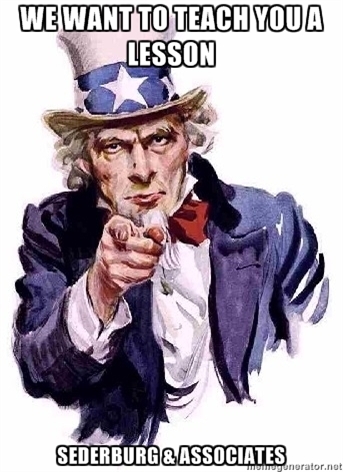 Also, keep in mind that we reward referrals—$20.00 each! We are very much looking forward to seeing you again next year. Thank you for trusting us with your business. P.S. We deal with the I.R.S. so you don’t have to. If you receive a notice from the government simply give us a ring and a member of our Knowledgeable Tax Team will set your worries at ease. 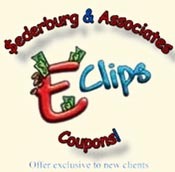 We have a Tax or Accounting Professional who can help you find a solution. Our clients come from all over the country, and the services they request range from the simplest personal income tax return preparation to representing corporate clients at a federal tax audit. We hire only the most experienced professionals. Many of our Tax Accountants are Enrolled Agents, with an average of 23 years experience. Our Tax Accountants take an average of 50 hours per year of Continuing Education. Give us a try and see why we have served many of our clients’ families for generations. Click the image above for more informaion about the Basics of Tax Prepartaion.